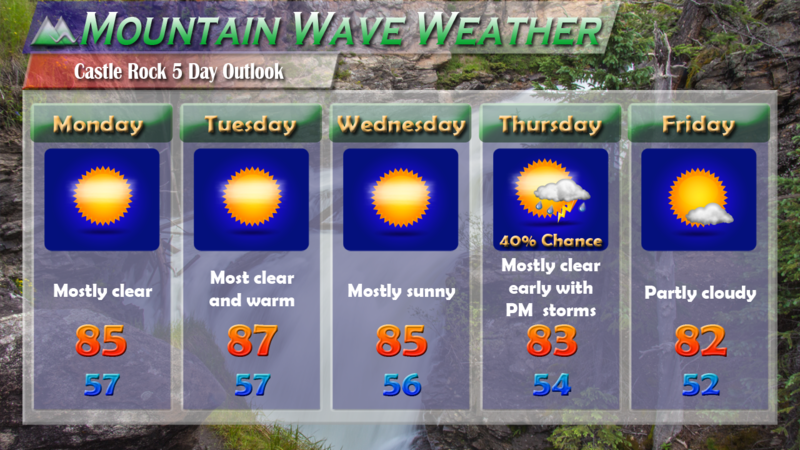 The past week or so has featured a transition in our weather pattern along the front range. The plumes of tropical moisture carried on the state on the winds aloft has shut down and has been replaced by drier and warmer westerly and northwesterly flow. This means our temperature will be warmer this week and rain chances will be much lower for most areas. Due to the Northwesterly flow aloft you may notice a haziness in the air for the first part of the week. This is due to the upper level wind pattern carrying smoke into the state from the Pacific Northwest. Expect low air quality through at least Wednesday. A wind direction shift and weak cold front on Thursday should help clear things out a bit.